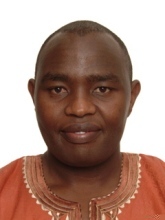 On the 11th of November 2013 Dr. Kiprono Langat from the Charles Sturt University, Australia will give a talk at the Department of Computer and Systems Sciences at Stockholm University on the theme Rethinking poverty, education and human development in the “new” Kenya. Dr. Kiprono Langat, visits the Department of Computer and Systems Sciences. It argues that education promises the alleviation of poverty. However, despite education programs often couched as development programs, Kenyans continued to be constructed by such bodies as UN and World Bank as among the world’s poorest people. The presentation observes that education for development programs construct underdeveloped and impoverished subjects. Such a perspective informs many of the development projects that have taken place in Kenya. Such projects tend to ignore the richness of the local institutions, practices and knowledge’s. Welcome!